All a buzz about bees? From Education, to swarm collecting, to starting your own. The Beekeepers of A.B.C.I., (or I.C.A.B. ), are an organization of beekeepers and bee enthusiasts from the Armstrong, Butler, Clarion, and Indiana counties of Pennsylvannia. 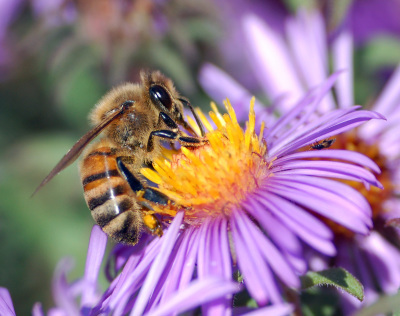 We are a group dedicated to the care and promotion of honeybees and all the wonderful things they provide humanity. A number of our beekeepers have delicious raw honey for sale. This honey has never been pasturized or processed like the sugar syrup you get at most stores. It's just as nature intended it to be. When available, our group sells beeswax products. These can range from candles, to soap, to lotions. In a tizzy over a swarm or hive near your home? Don't reach for the spray! We can collect and safely relocate bees for you. Curious about these little pollinators? Or would you like to try beekeeping out for yourself? We offer lessons and hands-on demonstrations on keeping bees and safe housekeeping practices to encourage a friendly bee environment. Meetings are held the last Tuesday of each month at The MANOR TWP. MUNICIPAL BUILDING AT 306 BYRON ST., MANORVILLE, PA.